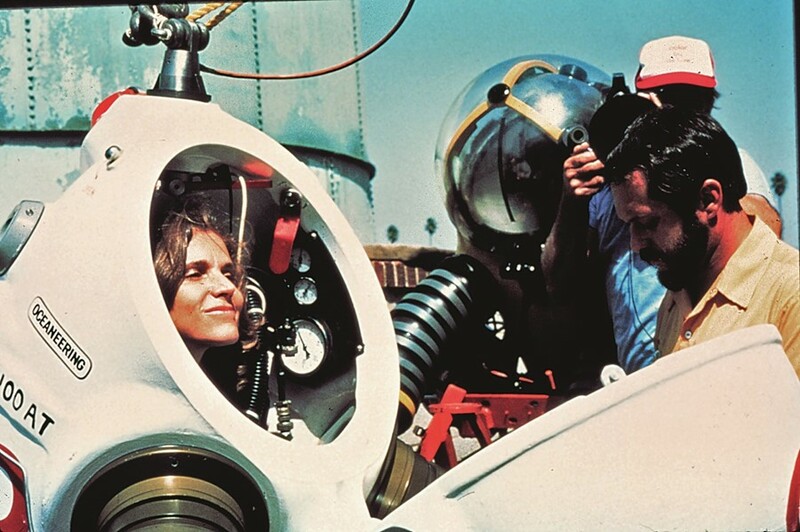 Few people on Earth can tell the kind of stories that Sylvia Earle can. We’re leaning forward intently as the legendary oceanographer recounts one of the most memorable moments of her long career. The year was 1979, and Earle was about to embark on the deepest undersea walk ever attempted. At a depth of 381 metres beneath the surface, she stepped off the edge of a submersible – and into the abyss. Even at 75, Earle exudes a persona that’s half James Bond, half Jacques Cousteau and half Charlie’s Angel – and, the maths add up because she’s already accomplished what one and a half people could hope to in a lifetime: from being named Time Magazine’s first “Hero for the Planet” to being officially classed as a “Living Legend” by America’s Library of Congress. 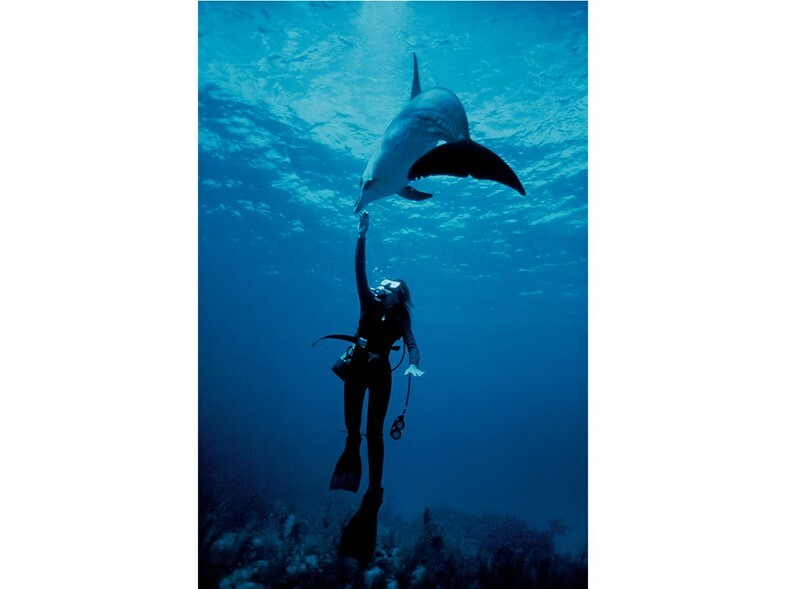 Over a career spanning nearly six decades, she has spent countless hours below the waterline, pioneering early diving suits, living beneath the waves and fighting to protect the vast blue world out there – all while looking very glamorous indeed. It can all be traced back to an early affection for the sea that began long before her groundbreaking venture into the deep, and even before her first scuba dive. As a passionate campaigner, Earle’s main job these days is highlighting the plight of the world’s oceans – but she still manages to get out on (and, of course, under) the water once a month or so. 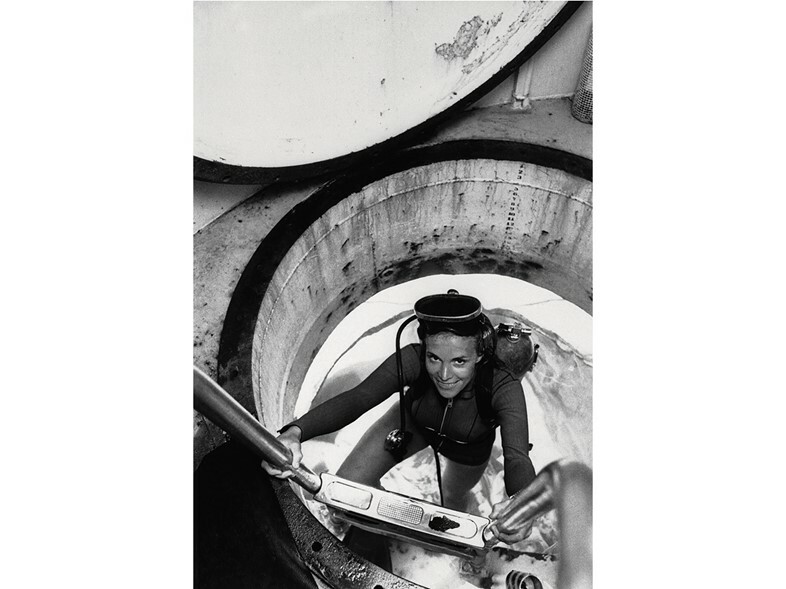 Her record-breaking walk on the seabed remains the deepest-ever dive made by a woman, and Earle’s life work hasn’t just been pioneering in the exploration sense. 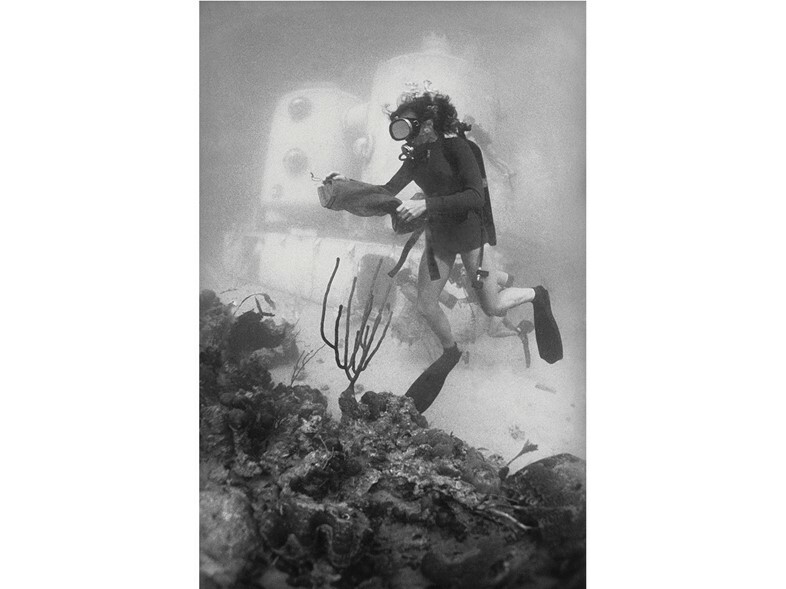 In 1970 she led the first all-women team to an underwater habitat called Tektite II, located off the Virgin Islands, to demonstrate the use of cutting-edge technology. Nicknamed the “aqua-babes” by the press, Earle and her fellow female pioneers spent two weeks submerged at 50 feet in an inhospitable yet fascinating place – an experience which not only nurtured her growing passion for venturing into the water for the sake of exploration, but also instilled a deep sense of connection with the natural environment. “I think the most important aspect of living underwater was the gift of time, of being able to stay long enough to get insight into the nature of a place,” she says of her days on Tektite II. “Things that you take for granted on the land, whether it’s going into a forest or climbing a mountain, you cannot do down there. But you can sit there for hours, days, weeks – you get to see the changes over time. One great breakthrough for me came in realising that all fish are different, one from another, and not just the fish, but even the little snails that lived in the vicinity of the lab, you could quickly see that there aren’t any two exactly alike, they behave differently, they look different, they occupy different niches in the structure of the reef. It just hadn’t occurred to me that the diversity of life extends to all life,” she says. The first-hand realisation of the abundance and complexity of life on Earth became one of the key drives in Earle’s efforts to explore, research and protect the oceans. Today, Earle is enjoying her second decade as an Explorer-in-Residence at the National Geographic Society in Washington DC – a coveted position that gives her the chance to reach a wide audience while leading valuable scientific missions. Today, her focus on protecting these key areas (like national parks for the ocean) is chiming with a wider public focus on the importance of the high seas for humankind. From Selfridges’ Project Ocean season to hard-hitting documentaries like End of the Line and The Cove, the plight of the world’s oceans is definitely rising on the global agenda – a welcome development for Earle. “It’s underway but it’s now time to reach a level of protection that will really secure an enduring place for us within the natural systems that keep us alive,” she pleads. “Only slightly more than 1% of the ocean currently has some form of protection and the part that is safe even for fish and lobster and crabs, oysters and clams and the things we so love to take from the ocean, it’s a tiny fraction of 1%. We have to do much better than this, and I was so pleased to see the UK step up and protect the Chagos Archipelago, currently the largest protected area in the ocean. It’s over 500,000 sq km in the Indian Ocean, where even the fish are safe, and it’s a bold, important move that needs to be used as a source of inspiration for other countries. Earle’s global outlook comes from a lifetime spent in the borderless world of the liquid part of our planet – a sentiment often reported by astronauts who return from orbit with fresh insight on the bigger picture. She was actually encouraged to consider a space career when NASA put out a call for female astronauts, but passed up the chance. The comparison to the moon’s desolate surface is timely. In a cash-strapped era when her country’s future in outer space is all over the news, she isn’t alone in wanting to explore more of the strange world that lies just beyond our shores. Indeed, even future space airline boss Richard Branson is looking to the depths, with the predictably-named Virgin Oceanic set to use designs based on Earle’s early work to send missions to five deep points over the world’s oceans. This article originally appeared in the A/W11 edition of AnOther Magazine.